Two mighty forces of Detroit destruction come together on this 7". 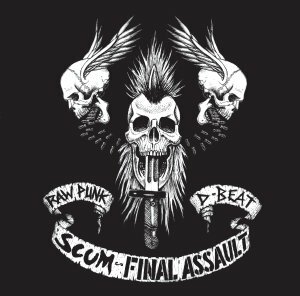 Scum bring the rawest, harshest attack felt throughout the city. Unfortunately with the sudden passing of singer Joe Fucker (RIP) this may be their final output. Final Assault continue their well-honed annihilation with 2 new tracks. Poster sleeve, download card and coloured vinyl.